After School Strings offers 45-minute class instruction in string instruments (violin, viola, and cello) twice weekly after school from October to May at three Salisbury-area locations. Students age 8 and older are divided into levels and taught by music teachers who love sharing their excitement and passion for music with their students. 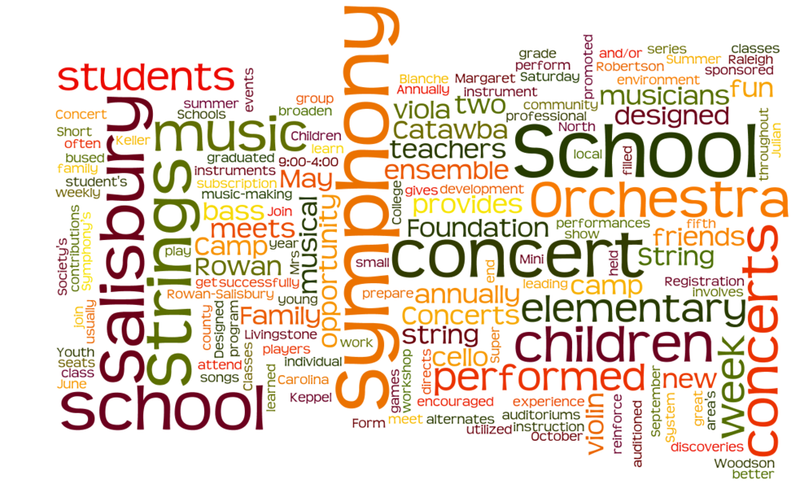 The Spring Concert featuring all After School Strings students plus the Salisbury Symphony Youth Orchestra will be presented on Monday, May 20, at Isenberg Elementary School. The concert will begin at 4:30 pm. There is no cost to attend this performance. Fall Semester: October 4 – February 11. Spring Semester February 4 – May 20. Level 1: Beginning Instruction. Students will learn the basics of string instrument technique, reading music, and proper ensemble etiquette. Level 2 and 3: Instruction for students who already have some experience playing a string instrument. The ideal next step for those who participated in the program last year, and any others with some prior experience. Students will strengthen basic technique and expand their music reading skills. The fee is $80 per semester for Levels 1-3 (two semesters per year: Fall and Spring). Fall Registration due October 10, 2018. Spring Registration due February 27, 2019. Payment may be paid in full with registration or in installments with half due at registration and the remainder due on or before February 27, 2019. Discounts are available for siblings. Scholarships are available for families who qualify; email education@salisburysymphony.org for information. Books are $6 and will be available for purchase during Rental Night (see below for more information on Rental Night) or during the first week of classes. Instrument rentals are provided through Band Attic and Davidson Violins. BEGINNING STUDENTS SHOULD NOT PURCHASE INSTRUMENTS WITHOUT INSTRUCTOR APPROVAL. RENTAL NIGHT is October 1st, 4-7pm at the Gateway Building (204 East Innes Street, Suite 260 Salisbury, NC 28144) for student fitting and paperwork. The Salisbury Symphony's Summer String Camp will be June 17-21, 2019, at First United Methodist Church in Salisbury. 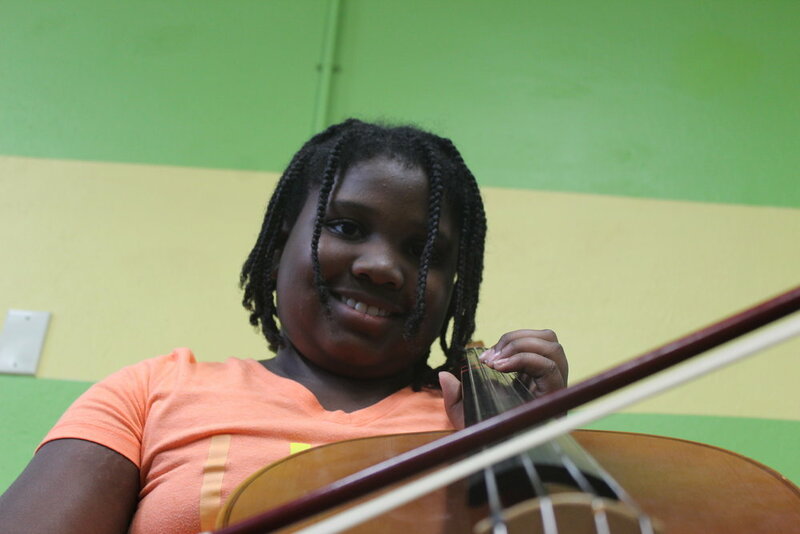 The week-long camp provides instruction for beginning, intermediate and advanced players on violin, viola, cello and bass. Download and print the brochure below for more information and registration. To receive a brochure by mail, call the Salisbury Symphony at (704) 216-1513 or email education@salisburysymphony.org. Annually the North Carolina Symphony gives two performances in Keppel Auditorium of Catawba College for all fifth grade school children (3000 seats utilized). The school music teachers attend a workshop in Raleigh in August and prepare the children in their music classes. The children are bused to the concerts by the Rowan-Salisbury School System. The concerts are sponsored by the Salisbury Symphony Orchestra with contributions from The Blanche & Julian Robertson Family Foundation and the Margaret C. Woodson Foundation. 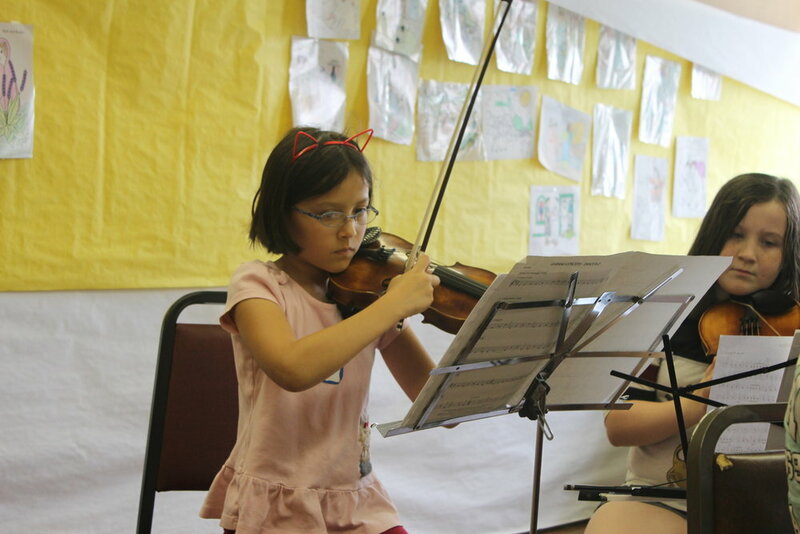 Short concerts, designed for elementary school students, are performed by a small ensemble (such as violin, viola, cello, and bass) in each elementary school in Rowan County annually. A concert designed for families with children is performed annually by the Salisbury Symphony Orchestra as a part of the Symphony Society's subscription concert series. The concert is performed on a Saturday or Sunday and alternates between the auditoriums of Catawba and Livingstone Colleges. The concert is promoted by the local elementary music teachers and often involves students from throughout the county. The Salisbury Super Strings is a group of young musicians who have graduated from the After School String program and/or have auditioned successfully. Mr. Hunter Safrit directs the ensemble which meets once a week from September to May. They present two concerts a year and also perform for community events.